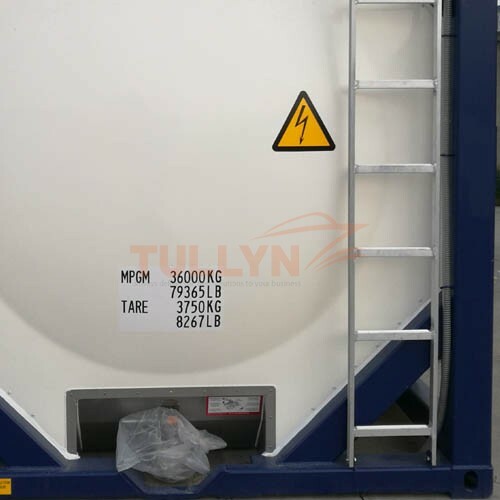 Application: 20ft tank container fleet is separated for four transportation purposes: tank containers for liquid chemical products, tank containers exclusively for liquid foodstuff and tank containers for bitumen and fuel liquid products. tank container or tanktainer is an intermodal container for the transport of liquids, gases and powders as bulk cargo. 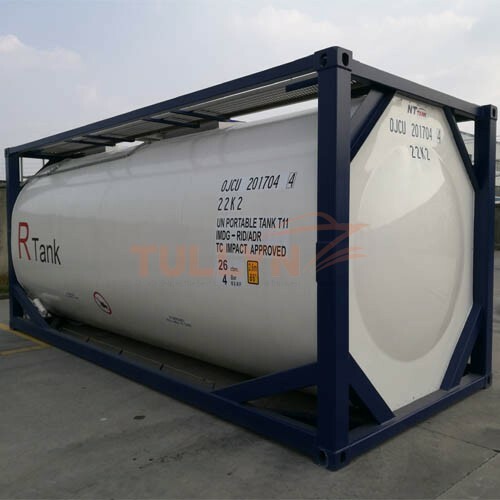 ISO tank container is designed for the transportation of cryogenic liquids such as liquid oxygen, nitrogen, liquid argon, liquefied natural gas (LNG) and liquid carbon dioxide, worldwide shipping, rail and road transport shipping container. Product specifications ISO 40 and 20ft, the maximum allowable working pressure of 0.2 to 3.7MPa, vacuum multilayer winding insulation, liner materials austenitic stainless steel, pressure vessels according to Chinese standards, the European Union EN, TPED1999/36/EC, Australia/New Zealand AS1210 criteria such as design and manufacturing. 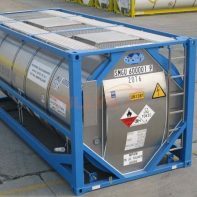 Some hazardous materials must be transported in tank containers with no in- or outlet openings below the surface of the liquid. 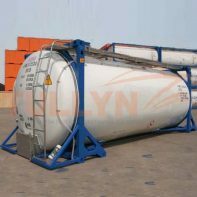 Tank containers are generally designed for an operating pressure of up to 3 bar (above atmospheric). The test pressure used is 4.5 bar (above atmospheric). 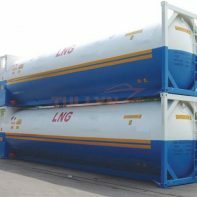 If the cargo requires temperature-controlled transport, tank containers can be equipped with insulation or heating. The temperature of the cargo may be precisely controlled using temperature sensors.